Apo Island is one of the destination that's been long overdue on my list. It's been on the radar for the past couple of years. With its diverse coral and charming sea turtles, the island is a premier destination for snorkeling and diving enthusiasts. When you take a plunge into its clear waters, you will immediately be rewarded with beautiful patchwork of corals brimming with charming sea creatures, a clown fish would be one. You can also find some unicorn fish, red toothed triggerfish, and the most sought after of them all, the pawikans. I finally had the chance to visit this beautiful island, thanks to my other adventurer friends for making this happen. Swimming with these charming sea creatures is by far one of my most memorable underwater experience this year. I may not be a great swimmer but I was still able to get close to these marine animals. Truth is, you don't really have to go far to see them, you can catch sight of them even of the shallow parts of the shore. I was struggling getting a decent picture with them as our guide doesn't know how to capture it with great timing. Most of our photos if not under the water shots without the sea turtle, our legs! hahahha! It was my first time to swim with them, and definitely, one for the books. For those who will be coming with a private vehicle. You can head to Malapatay Port, just follow the signage along the highway it will lead you to the jump off area to the island. For those who will be using public transport, you need to travel to Dumaguete City - the Capital of Negros Oriental. Once you get to Dumaguete City, hop on a bus bound for Bayawan City (ensure that it will pass through the Municipality of Zamboanguita) or you can tell the driver/conductor to drop you off at Malapatay Market. 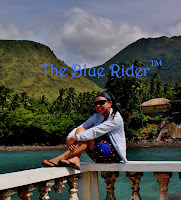 It should take less than an hour from the Dumaguete City. Take a short walk to the shore and you will find the information center. You need to rent an outrigger boat that will take you to the island for at least Php 2,000 (max of 4 passengers) and additional 250 per pax in excess. For solo travelers, you may want to join other groups to cut costs. The rate is already round trip for a day tour. If you will stay overnight, you need to add 200/pax on top of the posted rates. Before the boat leaves, make sure you had all your stuff and gadgets sealed on waterproof containers. You can get drenched by the sea water while heading to the island. Travel time is less than an hour depending on sea condition. For those who are on a day tour, be at the jump off early for you to enjoy and make the most of your time in the island. They are not allowing guests to go back to the mainland past 3 in the afternoon. There are wash area available to freshen up once you get back to the mainland for 10 pesos per person. 300 - For you to get a pleasant and unforgettable encounter with the sea turtles, this is a must. Rate is good for a maximum of 4 persons. There are a lot of eatery in the island but it is highly recommended to bring your own food as the prices for the meals were outrageously expensive. You have to spend around 180 to 250 PHP for a lunch meal in their restaurants. With the same proportions and taste, I can eat a meal for 50 to 60 PHP in any eatery or carinderia almost anywhere in the Philippines.